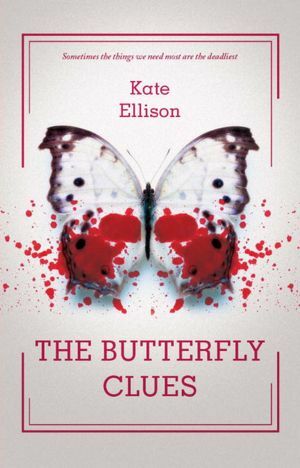 Review of "The Butterfly Clues"
Short and Sweet Synopsis: Lo, an obsessive-compulsive teenage girl, is fixated on solving a murder mystery. She feels oddly linked to the victim and will do anything to discover their connection. While I am not a mystery reader, I thoroughly enjoyed "The Butterfly Clues". Lo is a great character with lots of depth. She was constantly surprising me with her actions. Sometimes she seemed so weak, but then she would do something I would never have the guts to even attempt. I also really enjoyed reading about Neverland or the bad part of town. I can't help noticing how it sounds a lot like Wonderland near Boston and how everyone tells me NEVER to go there. Neverland had a cast of characters that I fell in love with even if they didn't follow societal expectations. They may have chosen careers I don't agree with, but Kate Ellison created relatable people in all of her characters. You need more reasons to read the book? The murder mystery is intense, or at least for someone who isn't really into the genre. I felt very concerned for Lo and knew she was putting herself in danger. I was never sure who to trust and was happy that my earliest guesses did not turn out to be correct. My concern for Lo was more than just for her life, but for her mental well-being. Lo's mental state added a lot to the book. I honestly would not have enjoyed "The Butterfly Clues" nearly as much if Lo had just been your run of the mills, teenage outcast. I do have one negative. I feel like the end went too long. I felt like the story wrapped up at one point, but then it kept going. It didn't go on for so long it was annoying, I just didn't find it necessary. Final Wrap up: Great characters, interesting setting, drama, murder, and addictive. Only a smidge of the unnecessary. I enjoyed the narrator in the audio. Short and Sweet Synopsis: This is the story of Min Green and Ed Slaterton's relationship from beginning to end. It is told by showing an illustration of an item that Min felt was meaningful to their relationship. I LOVED "Why We Broke Up"! Even though I knew Min and Ed's relationship was doomed to fail, I just couldn't get enough! I was hooked. This book was extremely personal to me because a lot of it mirrored my first serious high school relationship. Although, I feel like it should have been way more obvious that our relationship was doomed than Min and Ed's. So for me, this book was pretty nostalgic. Other than this personal connection with this failed relationship, there are other wonder aspects of the book. "Why We Broke Up" is a great look at what first love tends to look like in high school. It isn't always going to end like this of course, but Daniel Handler does a great job of portraying an honest relationship. Min and her friends are a great band of characters. While Ed may not have impressed me, his sister sure did! Fine, Ed had his okay moments, too. I loved the illustrations. They added a personal touch to this relationship taking it from generic to unique. Honestly, Min and Ed had quite an interesting romance while it lasted. I am jealous of some of their dates. Short and Sweet Synopsis: Newspaper clippings, photographs, drawings, IMs, postcards, wine bottle labels, and more tell the story of two teenagers in love. One is struggling with insanity and a music career, the other is failing to meet the expectations of assimilating into a school in America. 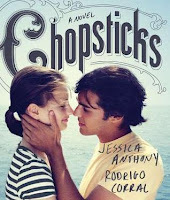 "Chopsticks" was entertaining, but I'm left feeling a little underwhelmed. While I did enjoy the potpourri of visuals used to tell this love story, I really wish I could have gotten into the characters heads more. I have been frustrated with authors adding in fluff recently in order to meet the 400 page minimum that seems to be required to get books published; however, I really wanted more from "Chopsticks". The story and characters had a lot to offer and I just felt like the format didn't satisfy me as a reader. I wish it maybe had a few longer letters... maybe a diary entry to just beef up the characters a bit. "Chopsticks" is a very quick and easy read. The cover, format, and visuals in the book will attract many readers. I did enjoy looking at this book and I would have a hard time believing anyone would feel like it was a waste of time. Readers who would like to stay in Jessica Anthony's creative space longer may take some extra time to analyze and think about what they are looking/ reading. This would be a good book to pick up if you have sometime to kill or are just hanging out in the library (although I am obviously bias). 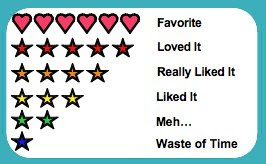 Overall, it was good. Nothing to write home about, but I'm happy I read it. Interesting visuals and an interesting plot. I just want MORE!